WASHINGTON -- Facebook CEO Mark Zuckerberg has agreed he will testify in a second congressional hearing next week, this time in the Senate. Zuckerberg will appear at a rare joint hearing of the Senate Judiciary and Commerce Committees on April 10 -- a day before testifying at the House Energy and Commerce Committee. The social media giant is reeling from a privacy scandal over its data collection following allegations that the political consulting firm Cambridge Analytica obtained data on about 87 million Facebook users to try to influence the 2016 U.S. presidential elections. Reps. Greg Walden, R-Oregon, and Frank Pallone, D-New Jersey, said the House panel hearing will focus on the Facebook's "use and protection of user data." Walden is the House committee's Republican chairman and Pallone is the panel's top Democrat. Their committee is among the congressional panels that requested Zuckerberg's testimony to announce a hearing date. The company, funded in part by Mr. Trump supporter and billionaire financier Robert Mercer, paired its vault of consumer data with voter information. The Trump campaign paid the firm nearly $6 million during the 2016 election, although it has since distanced itself. Other Republican clients of Cambridge Analytica included Sen. Ted Cruz's failed presidential campaign and Ben Carson, the famed neurosurgeon who also ran unsuccessfully for president in 2016. Facebook said Wednesday that the number of users whose data was swept up by Cambridge Analytica could be as high as 87 million, significantly more than the figure of 50 million that was widely reported at the outset of the data scandal more than two weeks ago. 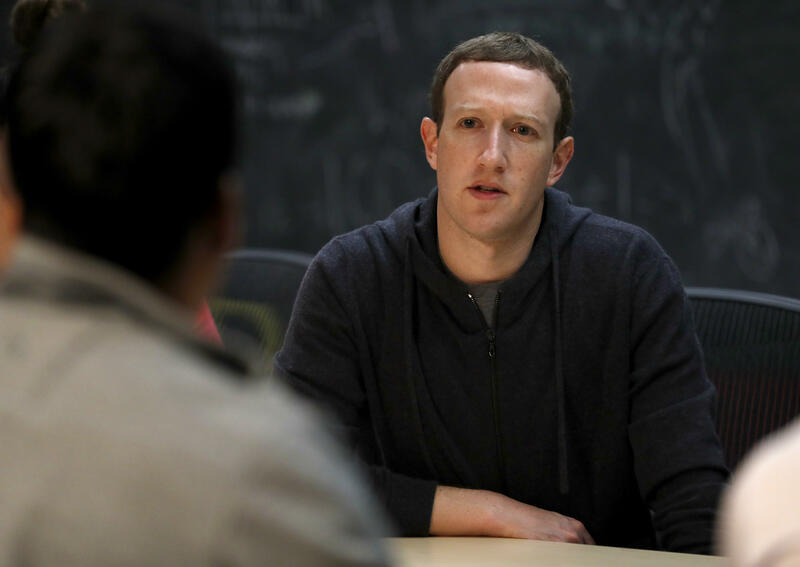 "We only just finalized our understanding of this situation in the last, I think, couple of days on this," CEO Mark Zuckerberg said during a conference call with reporters Wednesday afternoon. "We didn't put out the 50 million number. That came from other parties." In a blog post, Facebook's Chief Technology Officer Mike Schroepfer said the company believes data from up to 87 million people was "improperly shared" with Cambridge Analytica, the consulting firm who received data on users and their networks from a researcher who developed an app that captured the information. Facebook banned Cambridge Analytica, the researcher and a former employee from the platform in March.